offers Biomat sessions along with other services & workshops. Sandra offers Reiki Sessions & Training, Frequencies For Life (healing with sound & frequencies) and Aromatouch Technique, with DoTerra Essential Oils. Treatments with the Universal BioMat can be as a stand-alone or in conjunction with the services listed. Melissa is a Reiki Master Teacher. She is certified in Advanced Level Integrated Energy Therapy (IET) healing as well. She loves sharing her experience of the BioMat and looks forward to connecting with others to share new levels of relaxation; bringing feelings of well-being, health, and vitality. 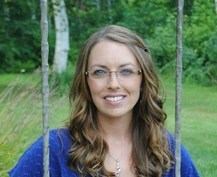 Michelle is a certified Reiki Master / Teacher, who also offers Crystal Healing and Biomat sessions. She also has a store for Crystals, Stones, Jewelry and more. I would love the opportunity to help you "Mind Body and Soul"! Discover Anne's many tools in addition to the Biomat.